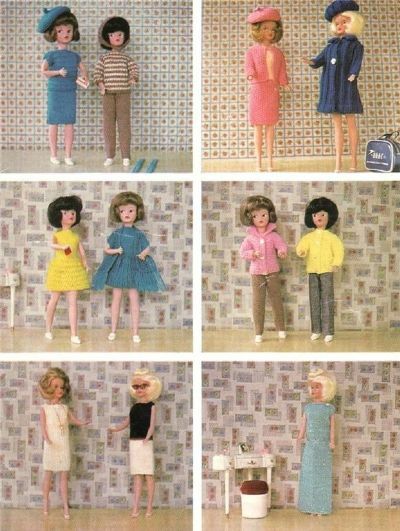 Over the years, many patterns were produced to knit outfits for Sindy and other teenage dolls. I have collected many of these patterns and I have now set up a new site where you can see all the patterns and they are also available to purchase as a PDF file sent by email. There are already a lot of patterns up and more will be added shortly. Visit Sindy Knitting Patterns now. Click here for free Patterns including the one shown below.